Former Nairobi County Governor Polycarp Igathe is back into the familiar corporate world after his stint in politics aborted prematurely. Just four months after he quit his political gig, Igathe has landed a new job at Equity Bank. He is the lender’s new Chief Commercial Officer. 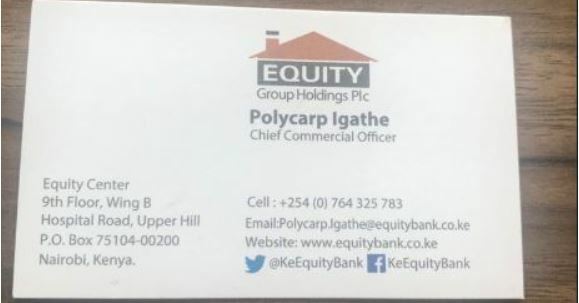 It is not known when he started his new job as such senior role has to be first approved by the Central Bank of Kenya (CBK) but Equity Bank is set to announce his appointment at an investor briefing slated for this Thursday. 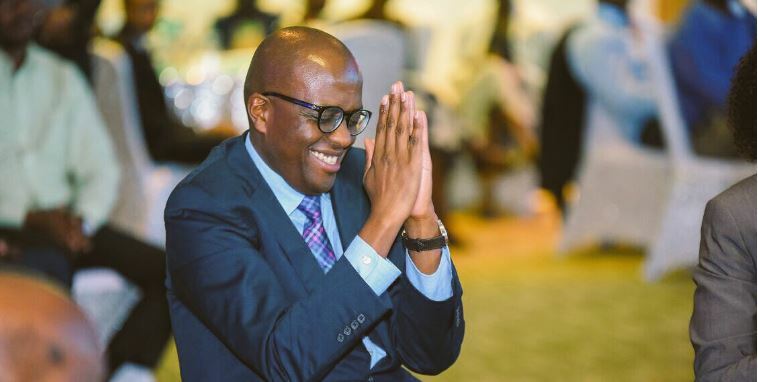 Igathe’s business card has since surfaced on social platforms sending the bank’s management scrambling to figure out how to manage the situation. Igathe resigned as the Deputy Governor after just five months citing a soured relationship with Governor Mike Sonko. In his January 12 resignation letter, he said he had failed to earn the trust of Sonko, and that this deterred him from working effectively for Nairobi residents.